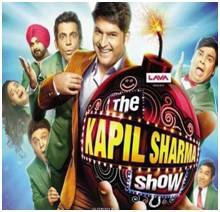 The Kapil Sharma Show is an Hindi Telvision Comedy Show on Sony TV channel. 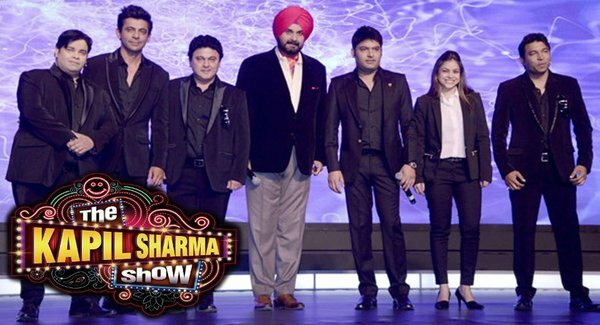 Kapil Sharma, Sunil Grover, Sumona Chakravarti, Kiku Sharda, Ali Asgar, Chandan Arora and Navjot Singh Sidhu are Lead roles in the show. This serial is made under K9 Productions Company, Frames Productions. It is Starts on 23 April 2016, Sat-Sun at 09.00PM. 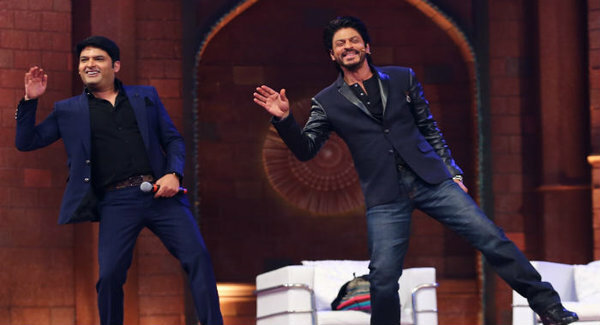 Shahrukh Khan is 1st guest of the 'The Kapil Sharma Show', he will come to promote film Fan. Shah Rukh Khan Shoots For The Kapil Sharma Show’s Promo. The series' format is largely identical to that of Comedy Nights with Kapil. The Kapil Sharma Show revolves around Sharma and his team of comedians, including Sunil Grover, Kiku Sharda, Sumona Chakravarti, Chandan Prabhakar and Ali Asgar who play residents of the Shantivan Non cooperative Housing Society. Each episode features Bollywood celebrities, who usually promote their latest movie, and joke with the star cast. "Navjot Singh Sidhu" plays permanent house guest who impresses the celebrities with his poetries. Kapil Sharma who is all set to the make a comeback on Television with his new comedy show ‘The Kapil Sharma Show’, shot the 1st episode of his brand new show with Shah Rukh Khan as his first guest in New Delhi on 11 April. This episode aired on April 23 at 9pm on Sony TV. Kapil Sharma fans, who came to see the show and SRK in the large numbers, burst into applauds and cheers when Kapil made entry through the crowd greeting his fans all the way to the stage.